Vern Burkhardt (VB): "By changing the way we talk, we change the way we think, not just as individuals, but all together." Bill Isaacs: The core of this is the idea that the nature of our thinking matters. We talk about how we act, and how we need to shape behavioral change or even attitudinal change. That's all true. But the question is, what are the governing factors behind our emotions and our actions? I suggest that it is the way we think. I want to make a distinction here, one I make in my book, and one David Bohm made some years ago. There is a difference between present tense thinking, what we think right now, and the products of that process which we will call "thought." It's as if your mind is a factory, the process of producing something is called thinking, and the product it produces is thought. In an interesting way, however, in our minds we tend to confuse the process with the product. We tend to confuse thinking and thought. For instance, when you drive to work, jump out of the car, and walk into the office I'm sure a number of times you've asked yourself the question, "How did I get here?" "What drove the car?" I suggest it was thought – a program in memory that guides how you function much of the time. That is different from conscious thinking. You can make a further distinction between thinking in the sense of association or memory triggering memory, and thinking in the sense of a flow of creative impulse that produces insight. Insight being the passionate rearrangement of previously thought "thought." In some ways the essence of real creativity is true thinking, of which most people do very little. Most of the time, we are associating or connecting one memory to another memory, and calling that thinking. It isn't. Real thinking requires a willingness to let go of trying to control what comes out of our mouths and hearts, and to let something of a larger order begin to operate through us. Now I suppose this notion could sound pretty weird, unacceptable, unrealistic, or just silly. But the fact is the mind isn't an entity unto itself. It is part of a larger circuitry, and it's possible to learn to let that larger circuitry operate the mind, and when it does you think. Not necessarily what you thought you'd think, but definitely something else. Many people have had moments of insight and called them inspiration. When you experience them, what you think tends to manifest and materialize quite quickly. Or it inspires and moves things quite quickly. The other kinds of associating, "thoughting" as we sometimes call it, don't tend to go very far. It's a bit like so many words and very little action. Thinking has power behind it and it moves things. One of the risks, you could say, in real dialogue, which is an opportunity to change "thoughting" into "thinking," is that you walk away different. People say they want to engage in real dialogue but what they are talking about is sharing previously thought "thought" with one another. They say that they are talking and dialoguing together, but it's not dialogue. Dialogue is an exchange where what comes out of a situation is new to both, or all, of the people involved, and it changes them. It allows something to happen that has never happened before. You could say, "Well, that's not practical! How could you ever let that happen on any kind of a regular basis?" Well, it's a bit of a team sport. We have to learn how to do it. The machinery for it is all there. We just need to learn how to use it. VB: We need to learn how to use our mind. Bill Isaacs: We need to learn how to use our mind, and we need to learn how to use our minds together. VB: With a number of minds working together as a group, people will come up with a creative thought they weren't aware of individually and wouldn't have achieved working alone. Is that how group creativity works? Bill Isaacs: Yes, there are many examples of it. The Manhattan Project was a very good example. As was the effort to get to the moon. We typically take three or four years to build a new rocket and NASA did it in eight or nine months their first time around. Rapid movement. Lots of creative power. It's not necessarily a smooth process. Some people have the idea that it's a conflict-free exchange. It's not. It's moving in a creative direction, meaning there's a constant and powerful reinforcing feedback process that leads people to realize they are working on something bigger than themselves. They need to keep giving up their own minor reactivity in order to keep contributing. People don't always want to do that, but more often than not they're inspired to do so. I guess you could call it "group genius." VB: A lot of people talk about thinking and working hard, and then going for a run or walk and letting their subconscious come up with new ideas. Like the old adage "It came to me while I was showering." That's something different, isn't it? Bill Isaacs: That relates to a whole other notion of how the subconscious mind works. The notion of incubation. Thinking isn't purely a conscious process. It's both conscious and subconscious. The subconscious mind needs direction, but it also needs space. Here's a little experiment. Before you sleep, become really quiet and let a question sit in your mind and heart. The trick is to settle down enough to reflect on the question in a simple and succinct form, and then go to sleep. The next morning when you wake up, you will start to have ideas about your question that you didn't have before. If you give your subconscious mind direction it will literally go to work for you. The notion that we can linearly leap from one logical conclusion to the next doesn't take into account the width of the circuitry, a piece of which is our own subconscious mind. But it goes vastly beyond that. VB: Would you talk about the four fields of conversation as they relate to enabling groups to be creative? Bill Isaacs: The important thing to realize is that all creative processes and conversations move through time in a particular way. We're used to thinking about what is present, but not often about when it is present. In other words, just as there are seasons and tides in nature, there are also seasons and tides in any creative process. The capacity to be attentive to those seasons and tides makes a significant difference in our ability to navigate them and operate creatively. There is no creativity without a sense of rhythm. It's also true in conversation. Creative conversations move through a certain pattern of expansiveness. Conversations that aren't generative don't move and tend to get stuck. If people insist on certain points of view or rigidities they won't have these experiences or be creative. For instance, the first field of conversation we speak about is what I once called 'instability of the container', or 'politeness.' People operating together in a polite banter where they don't express what they really think and feel. Maintaining face is one of the most common rules people follow. This typically doesn't get very far and they then move into a second field, 'breakdown,' where people say what they think and disturbances arise. Sometimes disturbances move into downright conflicts and, thus, 'breakdown.' Because it's uncomfortable, and it's not obvious what to do about it, they recycle back into 'politeness.' Recycling between 'politeness' and 'breakdown' tends to be the pattern people mostly experience in conversations. The idea that you can get through 'breakdown' and into a different field, one that we refer to as 'inquiry', is an unusual experience that requires a 'suspension of certainty' – the suspension of your idea that you know what's supposed to happen. Part of this suspension involves getting to the point of realizing, "I have a point of view, but that is not what I am." The minute you let go, even a little, new possibilities emerge and a quality of inquiry and reflective dialogue can begin to arise. In this third field there is a spirit of curiosity, people slow down and think, and ideas tend to flow freely. The people involved will move into a space where there is much more fluid creativity. If you get a group of people doing that, the remarkable thing we call 'flow' can begin to emerge. The movement from 'politeness' to 'breakdown and disturbance,' into 'inquiry', and then into 'flow' is the rhythm of creative conversation. VB: Can people consciously ensure they're moving in that direction? Bill Isaacs: Conversations naturally move in these patterns. Because people have some allergic reactions to and/or romances with one or more of the fields of conversation, they tend to stay stuck in those. Many people think that the right thing to do is stay civil – also known as polite – and not venture into anything else. This is typical of a professional context – don't say what you actually think because you'll create trouble. Others say, "It's not until we get into 'breakdown' that things are finally working." They become addicted to conflict. They say, "Having at it is how we communicate." But in reality nothing much is happening. "Things are really swinging," some people might say. "We finally get into a disturbing, and therefore more honest, conversation." But one has to get beyond that too. People's personal predilections can limit this cycle in conversations or cause it to be interrupted. When people relax they'll naturally move through all of the fields of conversation, neither panicking nor becoming overly enamored with any one of them, and the process will continue to move. VB: Presumably it requires integrity and authenticity by everyone involved to reach 'flow,' or generative dialogue. Bill Isaacs: Oddly enough, it also requires self-acceptance. It requires the willingness to face, and not project onto oneself or others, the disturbances that might arise within oneself. It takes a certain kind of integrity, as in being whole. It is less about following a norm, and more about doing internal work. The big secret to dialogue is the willingness of the participants to make some level of change in their own internal distance, freeing themselves up. If they free themselves up inside they can be freed up outside. VB: Often people talk about accepting the views of others but you mentioned self-acceptance. There's quite a difference between those two. Bill Isaacs: Yes, this work opens one to the realization that there's a huge internal landscape to pay attention to. This is not about being self-absorbed or naval-gazing. It's about recognizing that there's a vast inner world we all share. The willingness to notice this, and begin to live in it, opens up all kinds of creative possibilities. It turns out that the gate to this world involves forgiveness, and the realization that one doesn't have to be perfect. That concept is a shaming overlay that we accept from others and lay on ourselves. It leads us to operate out of rigid patterns and to expect others to do the same. While shaming and blame may be useful for muscle building at a certain phase in our life, in another phase it's helpful to let them go. We can then begin to realize that there's a far more creative way to have conversations that will connect with what's real in people. What's real is rarely, if ever, completely expressed. There's usually much more going on below the surface. Sometimes you're unable to articulate. It's not that you're unwilling; you're actually unable. But given the space it will all come out. That's what 'flow' means. It's the willingness and ability to let the free flow move among people without restriction. Typically people imagine, "Ugh, terrible things will come out." And indeed some disturbance may emerge, but it will not remain that way. This is the fear that limits true creative conversation. Making space for it, and then being willing to move through the fields of conversation opens up vast, creative doors. VB: Presumably it takes time. The more the people in a group know each other, the more likely this will occur? Sometimes we think we know each other, but we have mental models about one another that actually restrict. It's a great challenge to look at someone you think you know and let go of your image of them. Those images are false idols that we create in our minds about other people. They're not the reality of them. A lot of people change quite rapidly but we encumber them with our thoughts. We see them as we used to see them. Sometimes they even see themselves as they used to see themselves, and as a result they stay stuck. VB: It also occurs at a societal level between groups that are in conflict. VB: Probably often at the workplace as well. We've images of those we work with and therefore expect them to behave and dialogue the same way as they always have. Bill Isaacs: Yes, it's the classic thing of walking into meetings, expecting people to say certain things, and, indeed, watching them say precisely what you expected. Nothing new happens. You needn't have bothered going to the meeting, because you could have said what everybody was going to say before they showed up. VB: Unless we have an openness to dialogue, perhaps we write their script for them by interpreting what they say in terms of our preconceived notions of them. Bill Isaacs: The realization here is that not only can you predict, and therefore in some ways constrain, but you can also let go and make space. You have the ability to make room for what others think and feel. You can make room for others to change and not be stuck in our existing image of them. VB: Letting go is making room? Bill Isaacs: It is, yes. VB: Which is more than just being open-minded? Bill Isaacs: Hmm. There are old stories about people going on adventures and passing through thresholds, where they encounter difficult obstacles and are given an ultimatum to let go or perish. In a way letting go is not a simple task, and yet it is very simple in another. These myths teach that there is a shift of perspective involved, which I call a 'shift of identity'. With each shift one relinquishes the baggage of one's own preconceptions and of the past. The good news about this is that nothing true is ever lost. So letting go of something doesn't mean you lose everything. It means you lose the baggage. These myths are created to remind people – to remind ourselves, actually – that this is a significant developmental choice we all need to make. It opens up new horizons of identity and perspective. VB: Are you seeing this kind of approach being taken by President Obama and other world leaders? Bill Isaacs: Well, by certain ones. It's fair to say that Obama has some understanding of this territory. He's also encountering a well-entrenched system that is very difficult to dislodge. It takes agreement, or resonance, for these ideas and this energy to be extended. There are people who have come into alignment with one another along these lines not just inside themselves, but also in a deep and true way with one another. They've created an opportunity for change. The challenge Obama faces is finding genuine resonance in a way that begins to gradually shift the rather well entrenched packages of baggage. One sees certain leaders attempting this, and I think we'll see it more. The idea that there is creative white space to operate within is something that pretty much every leader I know is looking to develop these days. VB: We need you to lead the ongoing climate change discussions so people take the time to have proper dialogue! Bill Isaacs: There are many back-stories surrounding the whole climate change question. As is typically the case whenever there is an emotionally difficult subject, thought polarizes and we get camps. There are people who think climate change is a hoax, a falsehood perpetrated by certain kinds of interests. Others are very clear that it is real and believe people deny and pretend it isn't a problem because of the deep changes in society that will be required to address the issue. Each side has all kinds of nasty stories about the other. What they don't realize is that these very patterns of interaction are easily traceable to the very problems we're talking about. The inability to find a clear resolution without all this baggage arising makes for trouble. There are many possibilities for resolving issues like climate change that rarely get explored. Many people now are seeking to make explicit the mental models people have about what is actually happening with the climate. Making those explicit makes it more discussable and more 'confrontable,' which is very creative. VB: Fear is holding us back. Developing countries fear a negative impact on economic growth and advancement. People in developed countries fear it will change their standard of living. Bill Isaacs: Absolutely. There is personal and collective identification with certain forms and standards. The idea that we will have less, and therefore be less, is anathema and hard to accept. At the bottom of the climate issues are very deep identity issues that rarely, if ever, are articulated. What would resolve these things is an understanding that identity issues are actually what are in play, underlying the policy debates. We used to call it working upstream as opposed to downstream. Working downstream would be trying to do something about greenhouse gas emissions, if one believes that it's actually a problem, which quietly many don't, even though scientific consensus says there is a problem. The challenge is to create forums where national identity issues could be explored creatively. What do we do about these things? What is it we're afraid of giving up? 'Negotiated settlements' are possible at this level, but not until we start discussing the real, core issues which have nothing to do with climate, oddly enough. They have to do with who we think we are, and what we think we deserve. VB: Is this what you mean by downstream? Bill Isaacs: No, that refers to the idea that if you think of the flow of thought and awareness as a river, there's the upstream source and then the downstream manifestation. The downstream manifestation is thought. Pollution – problems and distortions – tends to show up in the downstream patterns if the upstream sources are confused or conflicted. Violence, conflict, and other difficulties are downstream phenomenon. The question is, "What causes them?" "Why do they arise?" They arise upstream in our thought. VB: If negotiations or discussions about climate change could reach the stage of inquiry, world leaders would have a spirit of curiosity about the question and possible alternatives, and this might move them toward generative dialogue. Do you think they can ever reach this field of conversation? Bill Isaacs: Reaching the field of 'breakdown' would be progress. It would require some kind of 'container' to hold the inevitable conflict in the conversation. One of the things individuals could do in this situation is go into the third space of inquiry, and speak and operate from it. This tends to have a creative effect on others who are not yet ready to make the shift. One approach would be for someone to say, "I've been a strong believer in climate change, that it's actually happening. I'm for addressing this challenge, but I realize there will need to be big sacrifices. Countries throughout the world are going to have to figure it out. I can't be responsible for what the western and northern developed world does, but I know that if China gets 100 million cars we're all in big trouble." A better alternative would be, "I realize how seemingly impossible are the demands which addressing climate change puts on a society. In some ways my idea for you, not your idea for you, represents a certain lack of respect." Simply saying this would create space because I doubt the Chinese people want to choke themselves out of existence. They're not willfully going in that direction. In fact, they're trying to figure out how to make the very changes we're talking about, and may well become leaders in green technologies because they're being forced by their reality. Necessity may put that heavily populated part of the world into an innovative mode far beyond what the West seems willing, in its rather comfortable condition, to invest in. Practically speaking it will likely ultimately have big financial implications. The need to invent different ways of operating may well result in wealth creation in ways that are unimagined right now. So this worm could turn rather dramatically and quickly. The issue is making room to see what's possible, and creating ways of having the 'real conversations.' These are not policy conversations; they're identity conversations. VB: You say, "To the extent that we remain caught in the language of the machine age, we will always be mired, unable to soar, unable to think." "…so far the digital revolution is giving us connection but not contact." Do the social media on the Internet have the potential to enable the type of contact required for genuine dialogue to happen? Bill Isaacs: It depends on whom you ask. There's a generation of people who are digitally literate, who have grown up with it as their milieu. For them they're in the flow of connection with one another through that media. That said, we live in an abstract age. Everything we do and see tends to be mediated by some contact-limiting force. There's the illusion of connection, without the reality of it, through a lot of these so-called social media, because ultimately one is generating an understanding within oneself. That's the trick of it. Losing isolation and finding connection through contacts is ultimately always a matter of consciousness. It only happens inside oneself. Technology doesn't enable or prevent it. The gating factor is the quality of awareness inside the individual. The interesting question is, "What will allow that to change?" For most people physical, interpersonal, face-to-face contact with people who are resonating at a different frequency, is necessary for them to learn to shift their own frequency. Because there is resistance inside all of us to making these changes, it takes choice and effort to make it happen. The idea that it can occur remotely, online, and automatically is ridiculous. It won't happen that way. That said, no doubt some people experience, through those media, a sense of connection with others. But a mere sense of connection with others will not result in the type of change that is required. In my experience most people need a pattern of education and interaction that can only be done face-to-face in order to make the extensive changes required. There are monks who have meditated in caves in the Himalayas who don't need help interacting with other people. But most people are not practicing the kind of one-pointed, focused, letting-go that allows those changes to happen. Most are typing on their keyboards, which is a very different thing. Ultimately the gating factor is what happens inside the individual. The simple explanation is that social media can extend and intensify that resonance, but not generate it. VB: Often seeing the physical reactions of people helps understanding, but with electronic messages no physical reactions are seen. You may not receive the same feedback and therefore be unable to have in-depth conversations. Bill Isaacs: It is said that 80% of communication is non-verbal. What does that tell us? That there are levels of substance, levels of connection that are subtle. A wild thought – I think it's quite possible to sense this at a distance, and I think the Internet is a sort of simulation of that perceptive capability. But it's not actually able to do it…yet. VB: There's another aspect I've wondered about. When young people are text-messaging or using FaceBook, for example, they're probably recording and reflecting their thoughts much more readily than their parents' generation can or do. Perhaps this exploring and sharing of thoughts, opinions, and feelings creates more openness. Bill Isaacs: I think that's right. There are several contributors that are worth exploring. We described connection as a change of consciousness, and a sensing of invisible or subtle ranges. There's also a cycle of change that people need to go through. That cycle requires choice and safety. It's quite safe to type away without anyone around. A bit like writing in your journal. You're writing to and for yourself except, in this context, other people are going to see it! There's the illusion of a safe space, a safe context, because there isn't the noise of interaction and the reactivity of others. It may very well be that the illusion leads to reality in the sense that people let a flow begin to move inside themselves, because they convince themselves they're safe. Lo and behold a change of a generative sort begins to occur inside them. If that is the case, then it's creative, absolutely! VB: But they don't necessarily realize they're creating a cumulative, permanent record of themselves. Bill Isaacs: There is the cumulative personal record part. Also what happens is that people will have transformative experiences in a place, associate and connect that place to the experience, then think they can't have the experience without being in that place! But the real reason they had the experience was because it came out of themselves. It's place-catalyzed; not place-dependent. This phenomenon also applies to the Internet so people think, 'I can only have this sense of connection if I'm online'. It's not true. The only reason there is a connection through the Internet is because of what's inside themselves! The question is how to have that sense of connection when they're brushing their teeth, in the shopping line, or driving in traffic – and not just online. The same connectivity is there; it just takes a bit more to perceive it! VB: It reminds me of an artist or a writer who says, "I can't paint or write unless I'm in the same space, using the same easel or the same desk and computer." Bill Isaacs: It's certainly true that certain environments are more conducive to creative exchange and experience than others. Sometimes the most extreme environments, which appear not to be conducive to creativity, turn out to be among the most creative, like a prison cell. VB: When you are working with groups, do you consider the environment an important factor when preparing for a discussion, hopefully leading to generative dialogue? Bill Isaacs: Absolutely. The majority of meeting rooms in North America are windowless and dull. I suppose the notion is people should concentrate; they don't need windows to think. We find having air and light is rather helpful to conversation, so we pay careful attention to the physical environment in which the conversation will take place. This includes removing tables and seating people in a circle, which is a highly efficient arrangement. It allows people to see one another easily. It's much more conducive to conversation. VB: It removes physical barriers as well. Bill Isaacs: It removes physical barriers and safety nets that people hold onto, imagining these are the things that will keep them from falling into trouble. VB: Is encouraging dialogue – creating conversations – the essence of leadership? Bill Isaacs: I suppose it depends on the kind of dialogue. To me the essence of leadership is creating conditions that stimulate people to express their finest ideas and abilities. A very central vehicle for this is high quality conversation between the people being led, within themselves (internally) and with the leader. The quality of interaction makes a difference to creative thinking. The leaders' job is to create the conditions in which a conversation or dialogue occurs – the carrier wave. They're architects of creative exchange and creative action. This is very different from thinking of leadership as standing up and announcing the direction we're all meant to go. A lot of literature says leadership is about setting boundaries, giving clear direction, and inspiring people to move, to change. It's subtler than that. It's about operating within oneself in such a way that you invoke the creative authority of others. You invite them to operate within their own creative authority. Bill Isaacs: It's related. I don't know all the nuances of Greenleaf's concept of 'servant leadership.' The notion that a leader is in service to others was a good shift from the outdated view that the led are in service to the leader – "Do what I say." Turning that approach on its head was a step in the right direction. The question becomes, "Servant to what?" Being in service is about evoking creative authority in others, and that means you're in service to the creative process itself. VB: Does the leader have a large influence on the energy level, irrespective of the size, of the group? Bill Isaacs: The leader's energy is like a tuning fork that completely impacts the whole of their creative field. If they don't like what they see in their creative field, they need to look at their own quality of expression, nothing else. This is the ultimate pattern of responsibility that they have to assume. While it is tempting for a leader to blame the less than competent people around him, he's the one who sets it up for people to operate the way they do. This includes people being in the wrong job, or whatever it happens to be. VB: And keeping people in the wrong jobs. Bill Isaacs: Yes, keeping them in their existing jobs for whatever reasons. Of course, it doesn't take those people off the hook. They're equally responsible for where they are. VB: Would you say everybody in an organization has to be a leader? Bill Isaacs: I think so. This is what we're calling 'distributive leadership' at the MIT Leadership Centre. It means leadership happens at every level. We're in an age where leadership is self-leadership. That's the transformative change. It's not about leading others; it's about leading yourself. VB: Your book Dialogue ends with, "Seized by an elemental togetherness, we touch the genuine power of dialogue, and magic unfolds." What is this magic? Bill Isaacs: Well, magic is an interesting term. It's not magic to the magician. Magic appears to happen when we see something operate without understanding why or how. But it doesn't mean there's no wonder in the world! There are other meanings of the word magic, which have to do with a sense of awe, mystery, and wonder. By magic I mean an elemental togetherness. It's a phrase originally coined by Martin Buber who spoke about relationships between people falling fundamentally into two categories. There's an 'I-it' relationship where we objectify and see others as objects, and an 'I-thou' relationship where we see others as parts of a living whole. When we let the latter happen the resulting creative effect and creative activity is rather enormous, even magical. I've seen, in many organizational contexts, people produce results in very short periods of time. They produce in orders of magnitude beyond what they initially thought was possible. This happens when we let creative energy begin to move. It's practical. Results occur. VB: Does it carry itself? Bill Isaacs: It's very magnetic and can be quite self-sustaining. There are many good stories of this. At one organization we worked quietly and invisibly upstream with its core leadership group for several years until they resolved some fundamental breakdowns. These were historic breakdowns between political outsiders and bureaucratic insiders, but they found a resolution. They re-organized, placed power in their field operations around the world, began to grow, and have not stopped. It has been sustained through two CEO's – a remarkable shift. What changed was a pattern at the core. It was 'breakdown' at the level of the organization. They'd never gone through this field of dialogue so they kept recycling between 'politeness' and 'breakdown.' They never got beyond controlled discussion – it was all about supporting "my" point of view. They finally cracked it, moved into flow collectively, and have stayed there. They still experience micro-cycles of continuous challenge, which they have to navigate, but the fundamental success they created has been sustained. When you touch this kind of real substance, you've created magic. It's permanent! It doesn't ever go away. That's quite reassuring for people. This may seem ephemeral, vague, and abstract but genuine results and genuine connection don't disappear. VB: This relates to what is said about a company or organization that is highly innovative and has a high energy level. It's difficult for others to ever catch up or compete because the company's innovation continues apace. It's almost self-fulfilling. Bill Isaacs: Absolutely. This is partly why the notion of benchmarking for really creative companies is silly. By the time you benchmark them they've moved on. VB: Or you're benchmarking to the average. Bill Isaacs: You're benchmarking to the past. You can't acquire or buy creativity, but you can grow it. Once you do it's hard to replicate. Creative magic is within reach of everyone and it's as simple as we've discussed – the willingness to let go. VB: Once one experiences generative dialogue does one crave this level of synchronicity and flow in future group interactions and in dialogue with another person? Bill Isaacs: It's hard to go back. That said, one has to remember what we discussed at the beginning. It's a cycle. It's not always whole, complete, and powerful. Sometimes it's incomplete and bumpy. That's part of the creative process. It goes from empty to full, from incomplete to complete. It's a bit like walking to a building site and saying, "Where's the building?" This is all wrong – it's under development! You wouldn't expect it to be finished right away. The creative process has to move. Seeing something in it's state of incompleteness and condemning it ensures that it will stick around in its state of incompleteness longer than might otherwise have been the case. While one can enjoy and appreciate it, we need to accept the whole cycle, and not be overly identified with any part of it. This allows freedom of movement. VB: Does it change one permanently as a person? Bill Isaacs: I think it changes you in the sense it unveils more fully who you are. I don't think we need to change so much as reveal our identities – reveal who we already are. It's less about change in a weird way and more about being the same. VB: It's interesting that you don't become a significantly different person as a result of experiencing generative dialogue in the 4th field – synchronicity and flow. Bill Isaacs: The somebody who you are is already there, and it's more a matter of accepting and revealing it. I like to use the analogy of the light and the lampshade. The light's already there. The problem is the lampshade which is kind of brown in spots. It doesn't let the light through! VB: Or alternatively the light bulb was too hot and it burned brown spots on the lampshade. Bill Isaacs: Maybe so, but I don't think the light bulb can be too hot. The problem is with the outer clothing of the light, which is the lampshade of our expression. As it clears up creative results definitely appear. VB: I very much appreciate the time you've taken to talk to me. Bill Isaacs: I appreciate your unbelievable patience and your skill at drawing me out. I've ended up saying some things today about the Internet that are beyond what I had thought before. Which is an example of what we've been saying about dialogue. VB: Thank you so much. It's been a pleasure and a great learning experience for me. Bill Isaacs: Me too, actually! Author Bill Isaacs advises that creativity and innovative problem solving will not occur if we remain trapped in the 'politeness' and 'breakdown' fields of conversation. Creativity will blossom as we move into inquiry and then flow – generative dialogue. We move from the crisis of emptiness to the crisis of suspension, and downward to the spirit of curiosity and finally synchronicity. Awareness – Self-perception; I am aware of many different voices within myself. There is no conclusion – we are active participants in the living world, a part of nature as well as observers of it. the practice and theory of dialogue. He is also a Senior Lecturer at Massachusetts Institute of Technology's Sloan School of Management ("MIT"). In 1990 Bill Isaacs and Peter Senge co-founded the Center for Organizational Learning at MIT, a consortium of 25 leading companies dedicated to cross-organizational learning and change. He received a major grant from the Kellogg Foundation to found and run the MIT Dialogue Project, which initiated cross-boundary conversational experiments around the world over the past ten years. For the past 20 years he has consulted to senior leaders of prominent organizations around the world assisting them in creating visionary transitions and maturing the collective leadership of their systems. 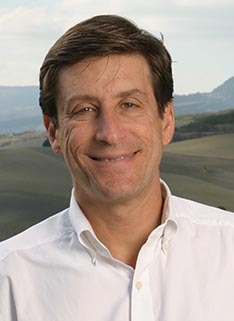 His work focuses on producing generative change that can engage large numbers of people, leading to "learning at scale," integration of functional organizations into business leadership, transforming management union relationships, and "organic growth" by creating cross-boundary and cross-functional transformation and action. Bill Isaacs received an A.B. in policy studies from Dartmouth College, M.Sc. in political philosophy from the London School of Economics, and M.Phil. and D. Phil from Oxford University in organizational behavior, social theory, and applied social psychology. He lives with his family in the Boston area. He is the author of Dialogue: The Art of Thinking Together (1999), which has been translated into seven languages, including Swedish, Chinese, Hebrew and Farsi. It was featured in Fast Company as a guide to "the secret of good informal conversation," and has been acclaimed by a variety of reviewers as the definitive guide to profound change through speaking and listening. His articles have appeared in The Fifth Discipline Fieldbook by Peter Senge et al. (1994), in The Dance of Change by Peter Senge et al. (1999), and numerous articles and journals. I have long been a proponent of Isaacs and Bohm dialogue. I have taught it in organizations and in university courses. It is a powerful and much feared tactic -- fear that something might emerge! We want meaning but we first squelch it. Then we cry that there is no meaning!!!! Thank you so much four the wonderful article. I am a student of journalism and mass communication from India and am thankful to you for such great work. Well I was completely shattered when our teacher had given us a few assignments to work on and generate a few ideas that came from our surroundings and instead of looking at big issues we were asked to observe small to objects around which actually forced us to rack our brains and think out of the box but since I wasn't able to express myself I had rather gone into frustration but after going through the interview I have somehow come to know that we need to keep thinking and to positively observe each and every thing very carefully. If initially no idea comes across it will at some point of time. Anyways, it was nice reading your interview as it eased my problem. Good luck for your future endeavors!